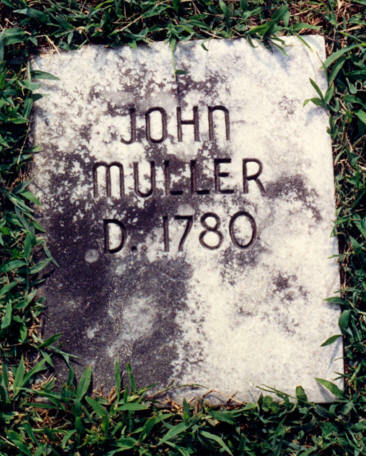 Johannes Muller was born 25 Mar 1726 in Pennsylvania. His father, George Muller, lived in Bergelbach, Nassau, Germany before coming to Pennsylvania. Johannes eventually shortened his name to John Miller. John married Maria/Mary Magdalena Faber in 1746 in Pennsylvania. Mary's parents were Michael Faber and Sarah Meinhert from Durlack, Baden, Germany. She was born 14 Jun 1735 in Lancaster Co, PA. In time, John and Mary decided to relocate from Pennsylvania to North Carolina - more than likely traveling down the Shenandoah Valley of Virginia, before settling in North Carolina. After their arrival in NC, John and Mary settled in the area around South Fork near Muddy Creek in Rowan County, NC, where they joined the Moravian Church and were members of the Friedberg or South Fork Society which was formed in 1771. The church is currently located in Davidson County, NC. John was listed on the 1773 Rowan County tax list as paying a poll tax on himself and his two sons, Heinrich (Henry) and Michael. A Poll Tax was a capital tax levied on every adult in the community that provided financing for many communities until well into the 1800s. 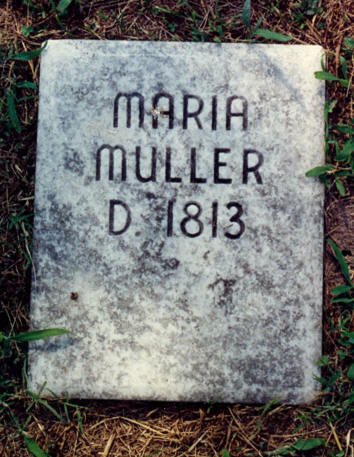 Johannes and Maria Miller had 13 children. Christina Miller 17 Mar 1771 1844 Isaac Taylor, Jr.
John Miller died 14 Feb 1780 in Friedburg, Rowan County, NC and is buried in the Friedburg Cemetery in present day Davidson County. John Miller left a will in Rowan County, NC, dated 12 Feb 1780. Mary continued to run the family farm after John's death. The 1790 Rowan County Census listed Maria/Mary as the Head of the Household. There were 3 sons still living at home. Sons Michael and Heinrich/Henry lived nearby with their families. The 1800 Rowan County Census listed Mary as the Head of the Household. She was living in the family home by herself. Sons Heinrich/Henry, John, Michael and Valentine/Felty lived nearby with their families. Heinrich/Henry had 7 children living at home, plus 3 slaves. Maria/Mary died in 1813. John and Maria/Mary are buried at Friedberg Cemetery in Davidson County, NC, (formerly Rowan County). Johannes/John's headstone is not near Maria/Mary's. and Marty Grant who graciously shared them with me. 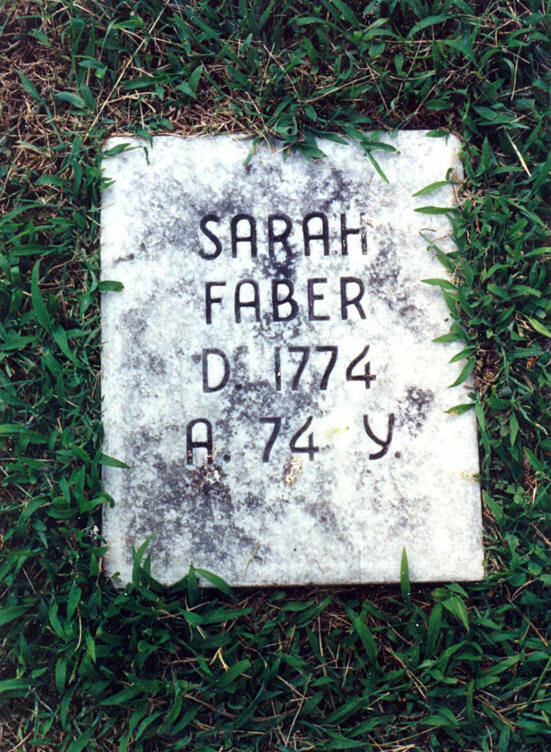 Maria's mother, Sarah Meinhert Faber, was also buried in the Friedberg Cemetery in Davidson Co, NC. If you have additional photo or information on Johannes Miller or Maria Farber, please contact me.